﻿...and so imagine our surprise when we saw hills of pineapples and coconut trees not unlike the view of a road trip to La Union from Manila. :p I guess I was in the less exciting part of the beautiful island of Oahu. Hehehe. We were hardly disappointed though. 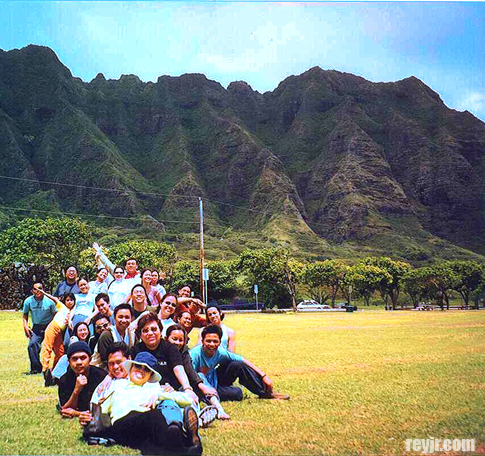 We were later taken around the city sights and the beautiful beaches of Honolulu, and we stayed at the YMCA Camp H.R. Erdman in the North Shore of Oahu. During my second trip to Hawaii, we stayed inside the University of Hawaii at the Hale Manoa Dormitory. I stayed at Room 308-I, haha! The highest floor had a nice view of the city. I also remember you can either walk to the Students Services Center or take the free shuttle. That was where we had out daily breakfast unless there was an early call for a performance. I also remember the library with free internet - it was a big deal back then to get that kind of luxury especially since we were so far away from home. We also had the chance to visit some of Oahu's most famous beaches including the Hanauma Bay, Ala Moana Beach - where some of us actually went swimming, and Kailua Beach which also had a wonderful backdrop - the mountain range so characteristic of Hawaii. Other tourist destinations we visited were the Iolani Palace (with the huge Banyan trees nearby) which was actually the residence of the last ruling royalty of Hawaii. I remember insisting to take photos of a nearby photo booth that had the typical Hawaiian floral designs on the side. Haha. A familiar backdrop? Think Lost or Hawaii Five-O! 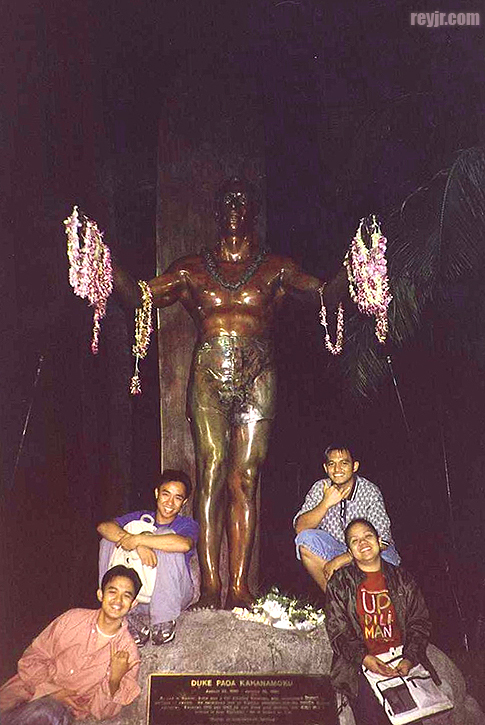 On the night before we left Hawaii for Seattle, Washington, we walked around probably the most famous beach in Hawaii, Waikiki Beach, and even visited the statue of Duke Kahanamoku - the man credited for bringing surfing to Hawaii. 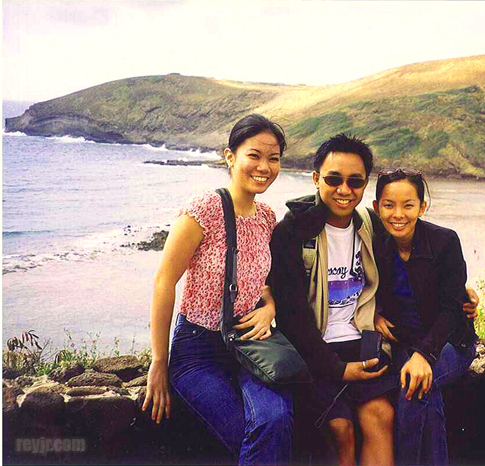 Hawai'i was a truly memorable experience - the people were wonderful and very hospitable, the atmosphere very laid back and relaxing, the beaches breathtaking. If given the opportunity, I would love to go back and ride a helicopter over a volcano or just simply hang out in one of the fantastic Hawaiian beaches. After a few days in paradise we greeted our hosts Aloha, waving our hands in the "Aloha hand" style and wishing we meant "hello" instead of "goodbye!"